The workers' compensation process is adversarial. This means that even though insurers are required to provide coverage according to the terms of their policies, if they suspect you are not truthful about the extent of your injury or illness, they may use surveillance to find a reason to deny your claim. Insurers' use of social media is common in order to avoid paying deserving claims. A Boston workers' compensation claims lawyer at Pulgini & Norton can advise you on your social media use and may be able to represent you in your claim. Under Massachusetts law, employers are required to have workers' compensation insurance to cover employees in the event of job-related illness or injury. In exchange for losing the right to sue their employers, employees can get benefits for a work-related injury without proving fault. A disabled employee who cannot work can receive a portion of his or her average weekly wage prior to the injury, based on whether the disability is permanent or temporary, and whether it is partial or full. While you are at home, unable to work, you may have nothing to do but hang out on social media. However, posting pictures or status updates can wind up hurting you in your workers' compensation claim. Social media is a relatively new form of surveillance used to defeat claims. 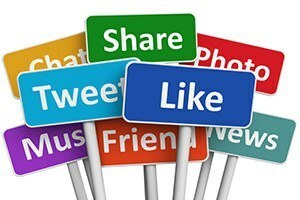 Social media sites include Facebook, Twitter, GooglePlus, LinkedIn, Pinterest, Instagram, and more. While video surveillance was common in the past, social media surveillance is a cheaper option for insurers. Social media surveillance is particularly pernicious because the worker willingly reveals details of his or her private life, and these details can be used by a skeptical insurer to show that the worker is not as injured as he or she claims, or has made inconsistent statements that show a lack of credibility. This type of monitoring can also be used to investigate workers' compensation fraud. For example, if you post a picture of yourself traveling on Facebook, or you check into a cafe at a gym on Four Square, during a period in which you have claimed to be disabled, the insurer may get access to this information. Serious disabilities that keep you from working usually restrict your everyday life. Many people struggle to stay cheerful and may try to put on a good front on social media, even if they are in significant pain. If you are stuck on the couch, you may still post old photos of a vacation to suggest that you are happy. However, what seems to you like an innocent social media post may undermine your claim by failing to convey how injured you are. Insurers can use your social media posts to prove that you have exaggerated your injuries or illness, or that you are defrauding them. Moreover, you should be aware that social media posts now involve geo-tagging, which can allow an investigator to determine whether a photograph or video was actually taken after the date of injury. In some cases, they may "friend" you on social media, or have the employer or others friend you to have access to your private posts. Since social media policies change, sometimes without warning, you should post behind a privacy wall, but you should not post with the assumption that your posts are truly private. Many Massachusetts workers' compensation claimants feel concerned because they believe somebody is watching them or monitoring their activities. This might be true. A workers’ compensation claims attorney can help Boston residents figure out how to use social media appropriately while disabled and aggressively advocate for them in pursuing the benefits they need. At Pulgini & Norton, our workplace accident lawyers also represent people in Hyde Park, Andover, and New Bedford, among other Massachusetts communities. Call us at 781-843-2200 or contact us via our online form for a consultation.